DESCRIPTION: Body predominantly yellow with black vertical bar through eye. Blue ringed black spot on flank. Two bluish diverging diagonal lines run from gill slit to lower rear body. All of the fish pictures on elasmodiver.com are copyright protected. 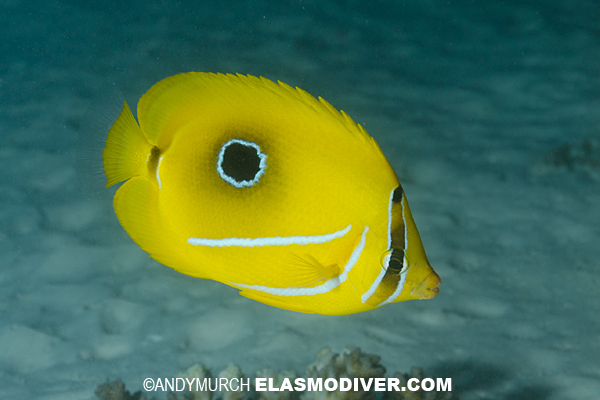 No unauthorized use of these Eclipse Butterflyfish pictures is permitted. Please contact Elasmodiver for further information.